Whenever we talk about the protagonists of the Bible, we must remember that every biblical actor’s character evolves in the course of a lifetime. What each person starts out differs from what each one ultimately becomes. In the latter half of Genesis, the ancient storyteller lavished considerable detail upon Jacob—who emerges as the most complex personality of Genesis. In the stories involving his interactions and experiences, we discover Jacob is the most morally challenged individual of all the biblical patriarchs. Jacob’s journey begins with a series of tests that he will have to face and endure heroically. Joseph Campbell’s seminal work, The Hero with a Thousand Faces, examines the hero archetype in ancient literature through Homer’s epic story—The Odyssey. He observed that heroes often undertake the most challenging tasks and place themselves in mortal danger to bring back, for themselves and their societies, both knowledge, and treasure. According to Campbell, the Odyssey, ought to be seen as a metaphor for the various psychological hardships a true hero must learn to overcome. Once Ulysses overcomes these hardships, the protagonist matures—achieving a more complete understanding of himself and his place in the world. As a result of successfully facing his ordeals, Ulysses ultimately returns home with a more definite sense of who he is. In the process, Ulysses emerges as a better king for his country of Ithaca; he is now a more attentive husband, a dedicated father, and loyal son. As with virtually all hero myths, the hero must undergo a series of tests and tribulations that form the essence of his or her heroic journey. Campbell’s concept of the heroic journey consists of three stages: separation or departure; the trials and victories of initiation; and the return and reintegration with society. The hero must prove his worth the caliber of his ideas and his character in a variety of dangerous ways that will test the limits of mortality. As mentioned earlier, the hero descends into the underworld and has a close brush with the forces of death. He must also face mysterious and threatening adventures that lead to the wresting of a gift or prize from powerful and ominous powers. Each of these obstacles will serve as a rite of passage resulting in the spiritual transformation and individuation of the hero. The hero’s journey, when seen from this perspective, connotes a triumphant return from the realm of darkness and death to light and life—from unconsciousness to a state of pure consciousness. Indeed, each of these characteristics occurs in the Jacob stories, as they do with Abraham, Isaac, Joseph, and Moses. A true hero faces his mortality with uncommon courage. In honor of Stan Lee, the creator of Marvel Comics, I would like to talk to you this evening about the heroic journeys that characterized his characters. As a child I grew up on Marvel Comics; I had all the original issues; And although Superman and Batman remained everyone’s favorite, the Marvel heroes resembled Jacob—in that each of them had flaws in their own character that they had to conquer. For many decades, DC Comics portrayed their heroes as if they were like Greek gods—so perfect, they seemed totally unrealistic; young people could not possibly aspire to emulate. It was only in the last fifty years, DC decided to rewrite their comics and portray their characters as having personality disorders. In one episode, Green Arrow’s partner, young Roy Harper was depicted as suffering from drug addiction. Comics started to focus on real-life issues— mostly because of Stan Lee and Jack Kirby, his great assistant. Yet, in each of Stan Lee’s comic book characters, the protagonists learn to conquer their inner fears and insecurities. Even the Hulk—over time—comes to embrace his humanity. 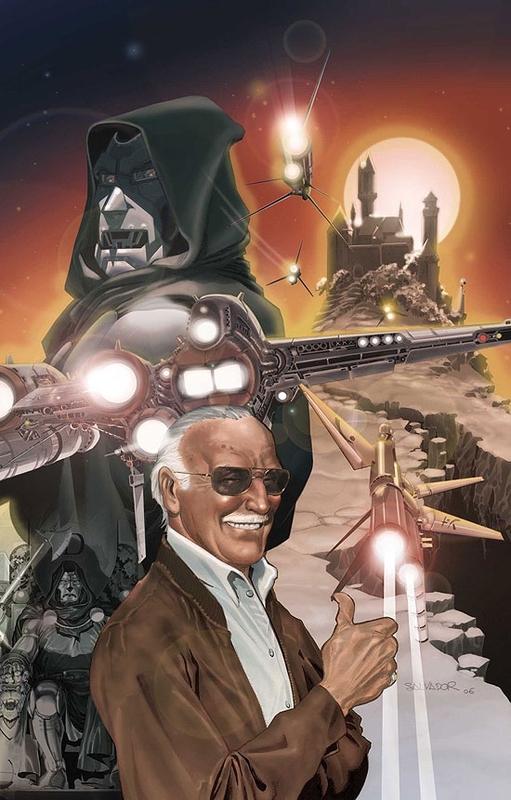 Influenced by Jewish tradition, I think Stan Lee could relate to the fact that all the heroes and heroines of the biblical stories—from Adam to Job—must undergo a series of spiritual and psychological trials that will eventually facilitate a new sense of self and personal identity. Yet, the mark of a true hero is facing one’s own demons and monsters. For young people such as myself, comic books taught me to recognize that each true hero must conquer his own fears and insecurities—just as Jacob did in this week’s parsha. ← Review on the Siddur Avodat Halev (5*) — This is a Siddur you want to own!